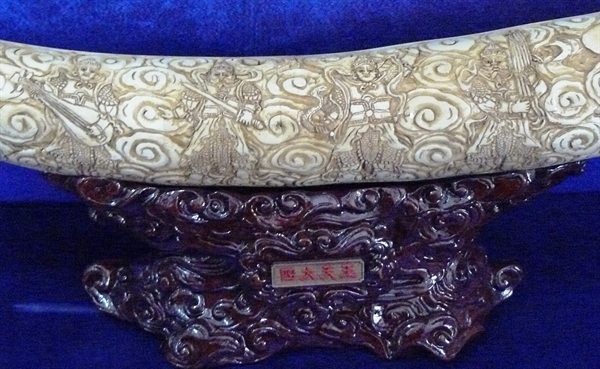 This beautiful tusk is all hand carved from natural water buffalo bones. The traditional Four Warriors are carved on the tusk. It comes with an elegant base.